As time goes on with rain and snowfall, any dual pane window can suffer from fog or condensation between the panes of glass. Fogged window repair is needed soon to not only restore the crystal-clear view out of the window but protect extra moisture damage and the growth of mildew or mold. How Do I Get Foggy Windows? Moisture gains entrance into a dual pane window setup from small cracks or holes in the surrounding sealant. One option is to replace the window completely, but this may cost a ton of extra money and may be difficult to match the new options to the existing styles already in the home. 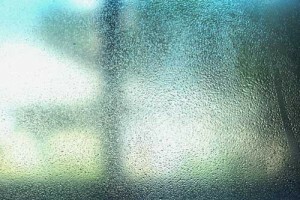 Window condensation repair is a better option in most cases and the skilled, qualified experts at All Service Glass, LLC are ready to repair fogged windows. Foggy window repair makes more sense than replacing the entire window because of the amount of time is takes to repair, and much more cost effective too. Imagine having an unsightly, difficult to see through window in the morning and a sparkling, crystal clear window in the afternoon. With window condensation repair, the job is complete by carefully removing the window from the frame, and installing the new glass. In most cases, fogged window repair can be completed in less than half an hour. Not only does the non-intrusive window condensation repair process restore clear views and unobstructed light, it can also help prevent further damage and restore insulation properties and energy efficiency ratings to dual pane windows. This can make any building more environmentally friendly and reduce heating and cooling costs. Once the measurements are taken and the glass is ordered, All Service Glass, LLC will return to complete the repair within 48hrs. All Service Glass, LLC schedules appointments whenever it is convenient for the home or property owner. With minimal disruption and cost, fogged windows with ugly condensation can be restored to look new again.